USE: Ladybugs prefer to eat aphids and will devour up to 50 a day, but they will also attack scale, mealy bugs, boil worm, leaf hopper, and corn ear worm. Spray the foliage in the area of the ladybug release with Hirt's Natures Nectar, shortly before releasing the ladybugs. 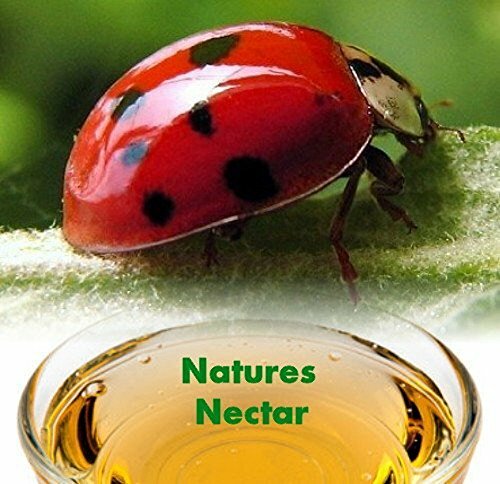 Ladybug Nectar is a specially formulized nutritional supplement. This nutrient rich food successfully substitutes for many of the nutrients found in natural nectars, pollen, and honeydew (aphid waste). It is the best replacement food when a natural food supply is lacking, and stimulates egg production in ladybugs, lacewings, and other beneficial insects. It also helps encourage and maintain a continuous local beneficial insect population in your yard, garden or greenhouse. If you have any questions about this product by Hirt's, contact us by completing and submitting the form below. If you are looking for a specif part number, please include it with your message.